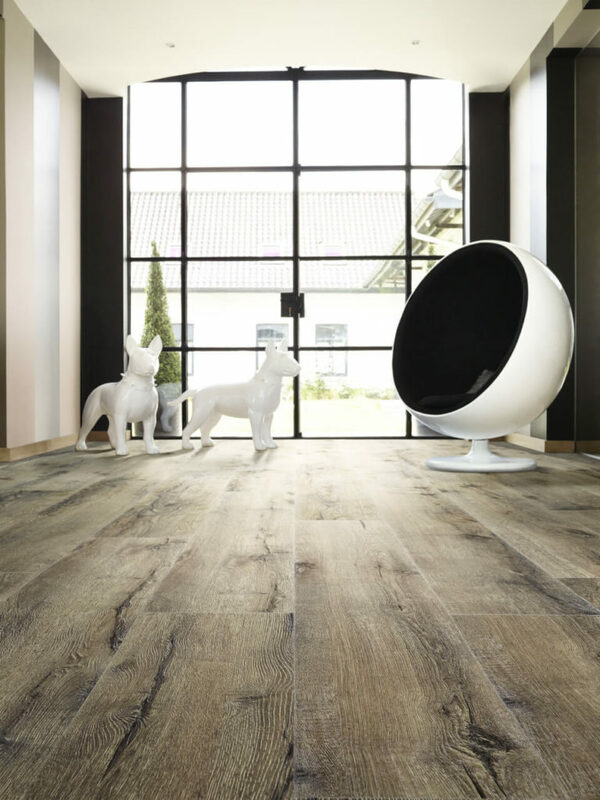 Moduleo® is luxury vinyl flooring. Moduleo® combines the authenticity and beauty of natural products, with the rugged durability of innovative vinyl technology. With four distinct product ranges; Select, Transform, Impress & Moods they offer beautiful wood and stone effect finishes which include oak, wenge, teak, pine, elm, maple, concrete, slate, bluestone and granite. Their Select range of products are ideal for home use only, while Transform which has a hard-wearing top layer, which can be used in both home and commercial environments. 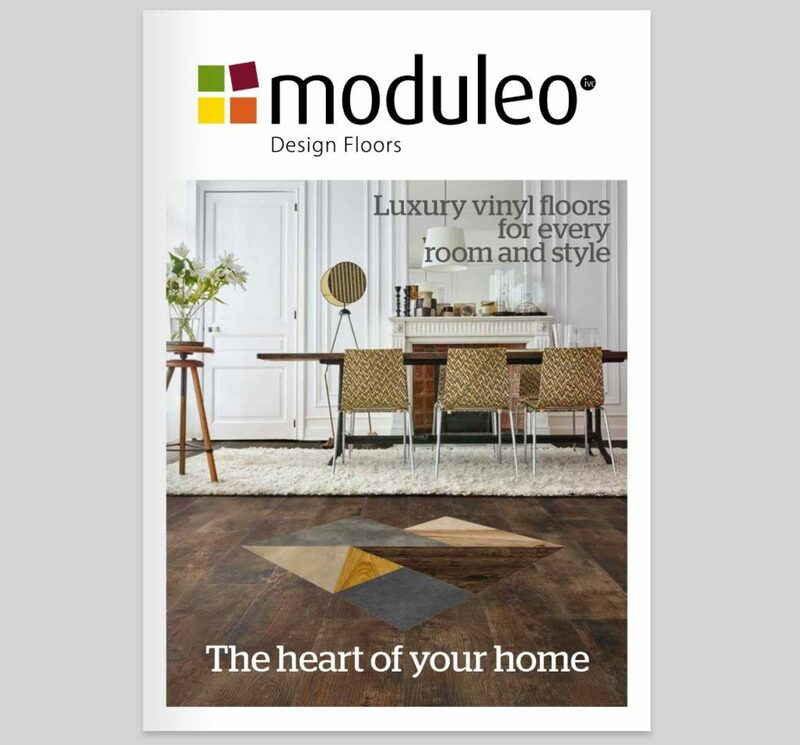 Moduleo Select flooring comes with a 15 year guarantee while Transform is available with a 20 year guarantee. You can be assured of Moduleo’s maticulous attention to detail to recreate and bring all the authenticity and elegance of wood and stone into either your home or business. All Moduleo® luxury vinyl flooring uses a unique printing technique to make their designs razor-sharp together with a structure press to accurately re-create the subtle textures found in wood grains and stone grooves. Call our team today to find out more about Moduleo! Beautiful and durable, Select is ideal for any area of the family home. Combining the natural look of stone and wood with the durability of vinyl technology, Select is scuff-proof with a Protectonite PU protective layer, is moisture-resistant (making it ideal for kitchens and bathrooms) and easy to clean. Select can deal with even the most demanding domestic environments and comes with a 15 year guarantee. 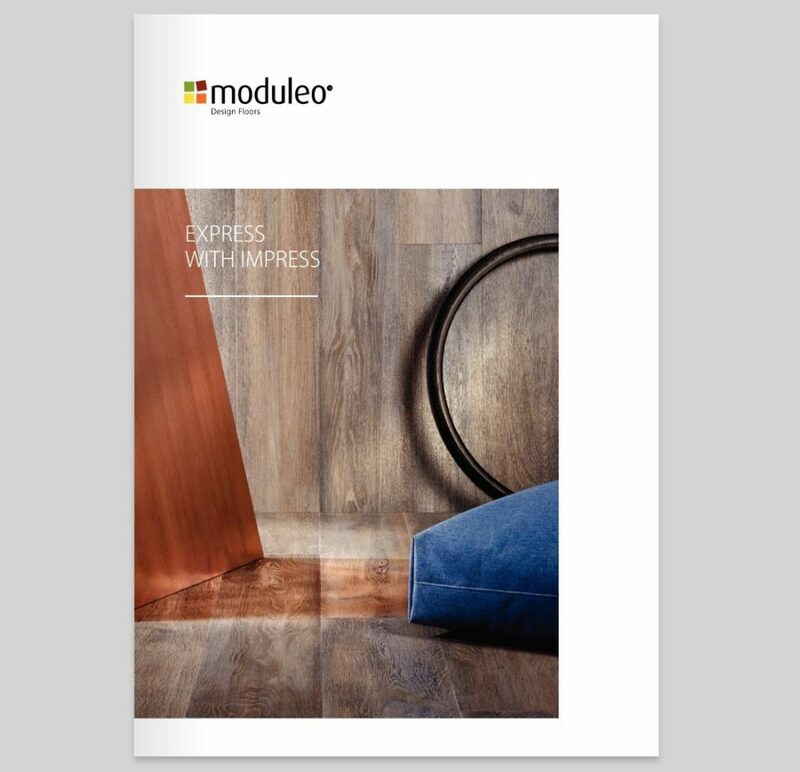 The Moduleo® Transform range of vinyl flooring features a hard-wearing top layer, making it ideal for commercial applications as well as the home. Available in wood and stone effects, Transform features a thick Protectonite PU coating that is easy to clean ensuring that the flooring is well protected from scuffs and stains. Transform is moisture-resistant and has an anti-slip rating of R10. Transform is delivered with a 20 year warranty with ISO9001, ISO14001, BRE A+ rating, A+ Indoor Air Quality (IAQ) & BREEAM accreditation. The name of the latest collection from Moduleo instantly makes it clear what the collection is all about: it is there to make a truly unique impression. This embossed product creates a true to nature look and feel. This collection holds 22 unique and stylish designs that are true to nature, and perfect for all current and traditional design trends. Inspiring floors that have the single aim of creating a room the leaves a lasting impression. Combining ten brand-new flooring formats to create up to 110 unique wood and stone effect designs from selected products in the Transform and Impress ranges. 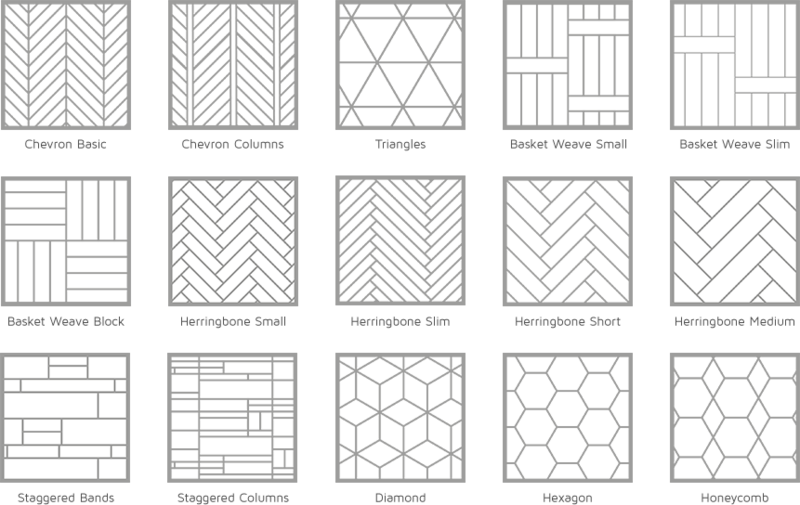 The designs range from classically elegant to wildly dynamic, giving you complete flexibility to create bespoke, design-led floors that reflect your individual style. Moduleo® is designed and manufactured at their state of the art factory in Belgium. All of their products are exhaustively tested and have achieved an anti-slip rating of R10; certifying that they are safer underfoot than many of their natural counterparts. Moduleo’s products have also achieved ISO 9001 & 14001 accreditations for quality management and environmental practice. Moduleo® is proud to be have generic BREEAM and A+ Indoor Air Quality (IAQ) accreditation ratings for its products. Moduleo has an A+ BRE rating. All Moduleo® products are recycled and contain up to 50 per cent recyclable material. Moreover, up to 40 per cent of energy used in manufacturing will soon be generated by three wind turbines which are being built at the firms purpose built, eco production plant in Avelgem, Belgium. All Moduleo’s ranges include the option to install using our CLICK technology. CLICK removes the need for extensive preparation and the use of adhesive, this speeds up the installation process meaning less disruption to home and businesses. 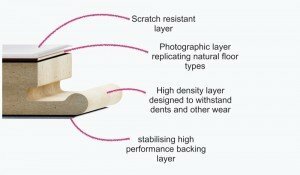 Their flooring is also available as a traditional dryback installation.